WASHINGTON — The business community increasingly sees Congress as a potential firewall in case the Trump administration tries to burn down the North American Free Trade Agreement. But legal and political experts are divided on whether Congress will be able — or willing — to persuade the administration to drop its most extreme negotiating positions or block a withdrawal effort. The fourth round of negotiations that concluded last week in Washington turned contentious over hard-line U.S. proposals surrounding rules of origin, content tracing, dispute settlement mechanisms, government contracts and a five-year sunset clause. 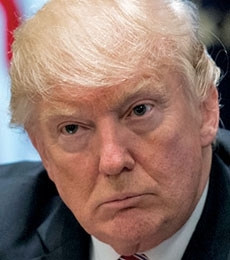 President Donald Trump has repeatedly threatened to scuttle the pact if better terms can't be arranged, arguing that it harms U.S. workers by making it easy to move production across the border. 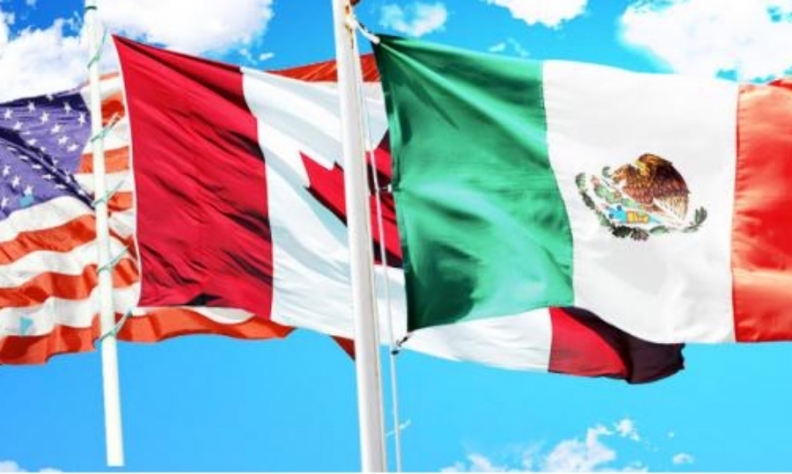 Many observers see the administration's proposals as a pretext for exiting the accord if Mexico and Canada do not capitulate. Trump doesn't have a completely free hand when it comes to trade. Congress has certain authorities to regulate international commerce, and NAFTA was enabled by a series of domestic laws that only Congress can change. But figuring out what role Congress might play if NAFTA talks implode is difficult, because it is uncharted territory: No president has ever tried to terminate a free-trade deal; NAFTA isn't like other free-trade agreements; and political support for free trade on Capitol Hill is mixed, without clear or consistent partisan allegiances. "It's unprecedented, so everyone is feeling their way forward on this," said Bruce Hirsh, a former U.S. assistant trade representative for Asia and founder of consulting firm Tailwind Global Strategies. Many key lawmakers are disappointed in the progress of the NAFTA negotiations and are privately making their views known to the administration, according to government relations operatives who often deal with oversight committees in the House and Senate. 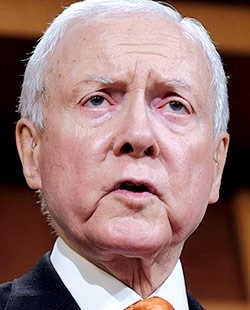 Hatch: Critical of U.S. stance? Senate Finance Committee Chairman Orrin Hatch, R-Utah, was quoted as saying he wants a "strong, enforceable, modernized" agreement, which some viewed as criticism of U.S. proposals to make NAFTA's dispute settlement mechanism nonbinding, something Canada has said it can't accept. If the fifth round of talks next month in Mexico City is unproductive, alarm among members could grow, sparking Congress to assert its oversight authority. Under NAFTA rules, a presidential notification of withdrawal is followed by a six-month waiting period. But even after that period, the benefits and obligations under the agreement wouldn't automatically disappear, according to trade attorneys. Changing provisions related to customs, industry sectors, marking rules and other areas would require Congress to act because it passed legislation in 1993 to implement U.S. obligations and that package remains part of domestic law. Existing tariff rates would continue for one year. That makes NAFTA different from the 2011 U.S.-Korea Free Trade Agreement, which says that if the parties decide not to participate anymore, virtually all laws associated with the agreement terminate, said Nicole Bivens Collinson, president of international trade and government relations at Sandler, Travis & Rosenberg. Trade attorneys don't agree on whether the president must go to Congress for final approval on withdrawal. Although the president has authority to negotiate international agreements, the Supreme Court has ruled that the power to regulate international commerce belongs to Congress. On the other hand, Congress has delegated much authority to the president, including limited ability to raise some tariffs. Collinson said she could envision a scenario under which Congress overrides a presidential withdrawal by passing legislation that maintains existing duty levels, because setting tariff rates is a power held by Congress. What is clear is that any NAFTA termination effort is likely to be challenged in the courts by someone arguing that the president exceeded his authority, said Leslie Glick, an attorney at Butzel Long whose clients include Tier 1 auto suppliers. The executive branch, in turn, could go to court to block Congress from putting conditions on a withdrawal. The extent of the president's power to unilaterally withdraw from a congressional-executive agreement such as NAFTA has never been tested in court. Whether Congress would exercise whatever power it has to preserve NAFTA, possibly with some modifications, remains unclear at a time when anti-trade sentiment has captured large parts of both political parties. Many Democrats and Republicans opposed the Trans-Pacific Partnership agreement before it was shot down in January and criticize NAFTA for making it easy to outsource jobs to Mexico. 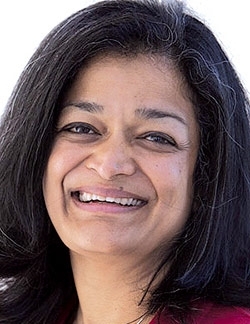 Rep. Pramila Jayapal, D-Wash., for example, is seeking support from fellow freshmen urging a NAFTA replacement that doesn't benefit large corporations at the expense of workers. Her draft letter to the U.S. trade representative seeks to favor domestic contractors in government procurement, stronger labor and environmental standards, and elimination of dispute resolution provisions designed to protect companies against arbitrary government action, but which critics say allows foreign corporations to challenge legitimate U.S. laws and regulations, such as for health and safety. Washington ranks third among states for exports, and politicians there are typically strong advocates for trade. "Members are loath to take a stand on this before the November 2018 midterm election," Collinson said. "If forced to take a vote, I don't know what will happen."